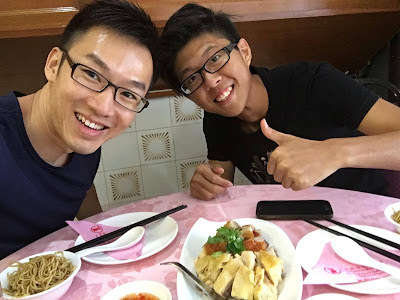 I survived the hotness in Malaysia: KIT's first time in Sibu! KIT's first time in Sibu! The other day, Kit from Penang flew to Sibu for a one-night business trip. I decided to drive him to one of the most established restaurants (New Capitol Restaurant) in town for lunch. Well, mind you, finding a vacant car park there was a real pain! 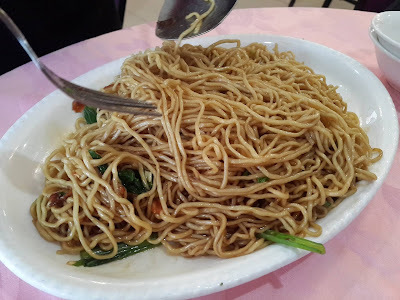 Of course, we did not miss out the pride of Sibu, Kampua (dry noodle originated from the local foochow community). The noodle served here was somewhat garlicky, which was a nice twist from the usual taste you would find in any traditional coffee shops elsewhere. I ordered a plate of stir-fried Cangkuk Manis (you can only find this in Sarawak!) with eggs as well. They added ginger shreds in the dish which I found it unique because as far as I was concerned, no place else would do it the same way. Hainanese Chicken and roasted pork belly platter! 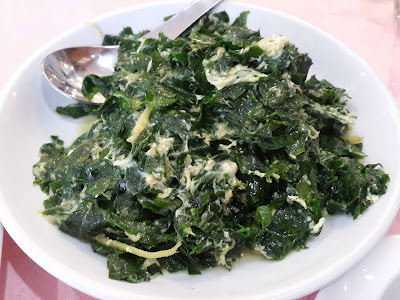 I heard it through the grapevine that this particular restaurant serves the best Hainanese Chicken in town but soon after the acid test, I would say that I did not really like it; It was rather bland. 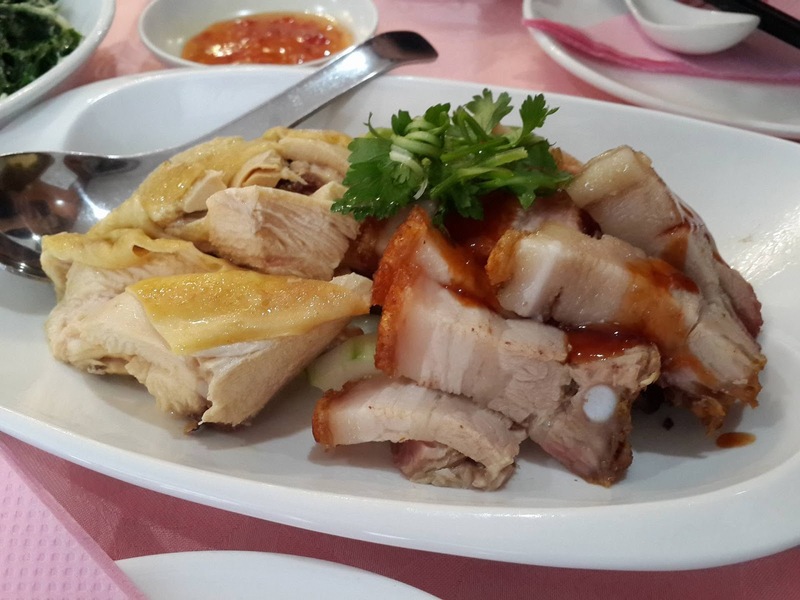 On the other hand, the roasted pork belly was not too bad. The bill came up for RM 30.20 plus a glass of drinking water all together, and Kit insisted on picking up the tab for me. Thanks for the treat Kit! Cheers to more free lunch with you, Kit! I hear people saying that they add a bot of Bovril to the kampua, dunno true or not. Very nice when served hot...but have to eat quickly. Will get cold fast because fo the air conditioning, then not so nice anymore. You did not order the Sibu Foochow-style sio bee? Wow! No wonder their Kampua has a distinctive taste! I wanted to order the Foochow-style Sio Bee in the first place, but we were worried that we could not finish off all of the food!